Last month, workers completed the installation of the spire atop One World Trade Center — making it the tallest building in the western hemisphere. The event was covered by media across the globe as a monumental achievement that took over 10 years to complete. 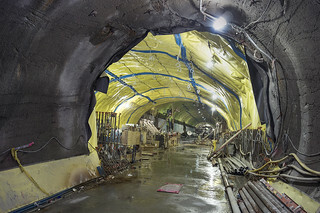 But there’s an equally massive construction project taking place underneath New York City that many are unaware of: the building of the Second Avenue Subway. 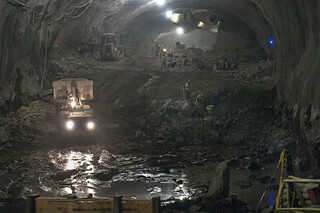 Patrick Cashin, a staff photographer for the Metropolitan Transportation Authority of New York, has documented the construction from the very beginning. 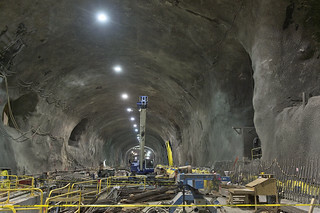 After 90 years of planning and delays, the Second Avenue Subway is the first line to be constructed in New York City since 1932. The $4.5 billion transportation project will improve access to mass transit and reduce overcrowding and commuter delays on the east side of Manhattan. 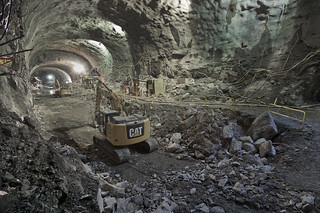 Phase one began in 2007 and included the excavation of new tunnels eight stories (80 feet) beneath Manhattan’s Upper East Side, as well as access shafts at 69th and 72nd Streets. 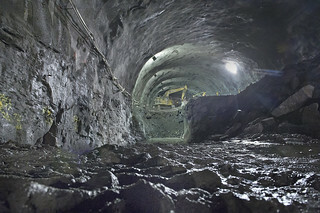 Patrick began taking pictures of the site when the first hole was big enough for workers to climb into. 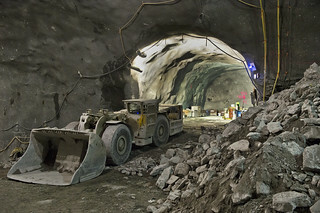 Construction workers brought down and assembled a 485-ton, 450-foot long tunnel boring machine to drill through the mountain of bedrock. 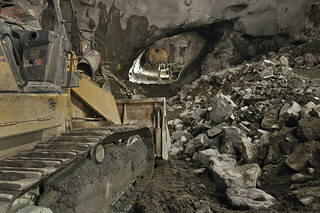 The machine used a 22-foot diameter cutterhead to mine 7,780 feet into two tunnels. Patrick visits the site every few months and each time marvels at the progression. What was once walls of thick black rock suddenly became large, empty cavernous spaces. The intended Second Avenue station is 110-feet high and 75-feet wide. Patrick admits being down below the city streets almost feels like being on another planet. Patrick feels that with every picture he takes, he’s documenting a piece of history. Visit the MTA’s photostream to see more of their photography.